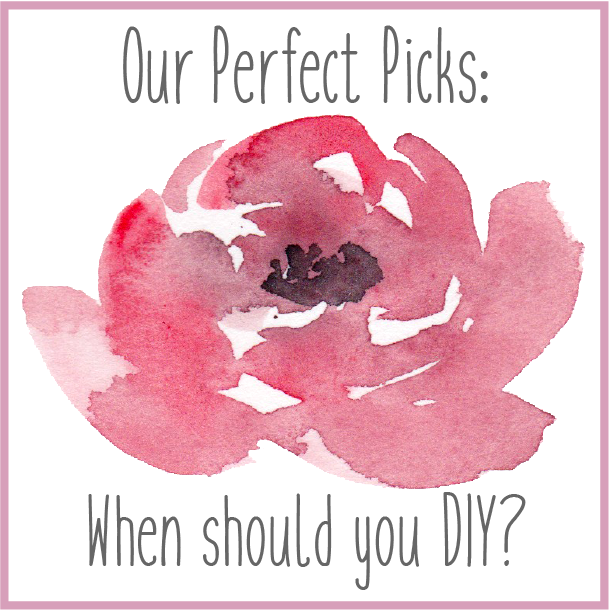 Our Perfect Picks: when should you DIY? We both love creating - baking, crafting, building, organizing, writing... So it makes sense that we want to encourage and support couples who want to incorporate personal touches into their wedding day. Handmade or hand selected, these items can convey so much about what has brought you together and set the tone for the celebration. We see a big part of our job as making sure all these details are executed well and have created a system to make sure we can make that happen. Here are the top 3 places where we love to see a DIY project! - Invitations/paper crafts: depending on the style you want, making your own invitations (maybe getting help from a crafty friend) is totally doable. From a very simple postcard style to layered or pocket-style, many of these can be done yourself given enough time and can save a lot of money. Many other things like save-the-dates, programs, place cards, and menus can also be handmade and all of these elements can be both beautiful and cost-saving. - Centerpieces: whether it's the whole thing or a special touch added to a floral arrangement, small details can be sentimental (old photos) or fun for your guests (Erin & Fred had scrabble tiles!). If you have a few friends willing to help, beautiful in-season floral centerpieces can be arranged from a local farmer's market. 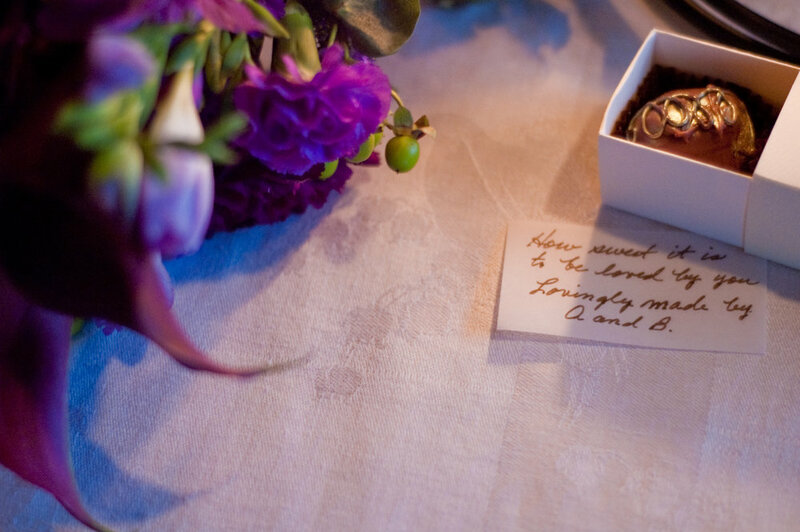 For Amanda's wedding, she and her husband made truffles and included a note handwritten by her grandmother. Photography by Piper Moore. - Favors: this is one place where the diversity of options has exploded. Many couples choose to use this opportunity to make a donation towards an important cause, create handmade items (by themselves or family members), give a favorite quality chocolate or candy bar, include inside jokes... the creative possibilities are endless! It is one place where you can both save money and add a small personal touch with as much or as little effort as you want. The best DIY advice though: make yourself stop all projects at least a week before the wedding. There will be so many other things going on you'll want to enjoy, don't be tempted to leave projects to the last minute. We know that many decisions to DIY revolve around a budget (an important first step when wedding planning), but we have found a few places where hiring a professional is a better option. Some of these include your photographer, catering, and of course a day of coordinator! Preserving memories and freeing up friends and family to enjoy your wedding day are places we think are worth the investment. Let us know your favorite wedding DIY and if you need help brainstorming a DIY for your wedding, send us an email!